Wondering what the best diet program is? U.S. News and World Report evaluated and ranked 35 diets with input from a panel of health experts. To be top-rated, a diet had to be relatively easy to follow, nutritious, safe and effective for weight loss and preventing diabetes and heart disease. The winner (for the 5th year in a row) was the government-endorsed Dietary Approaches to Stop Hypertension (DASH) diet. With all the diets out there, the DASH diet may be the best one for women with PCOS. In a study published in the Journal of Hormone and Metabolic Research, overweight women with PCOS who followed the DASH eating plan lost abdominal fat and showed significant improvements in insulin resistance and inflammation markers. Here are six reasons why the DASH diet is good for women with PCOS. One of the best things about the DASH diet and a factor that helped it to rank highly among health experts is that it’s so easy to follow. No tracking points, carbohydrates, or calories with this diet. All you have to do is cut back on sugary, salty, and high saturated fat foods and increase the amount of fruits and vegetables that you eat. The DASH diet recommends 4 to 5 servings of both fruits and vegetables. This is because nutrients like potassium, calcium, magnesium, and fiber are important for fighting high blood pressure. You’ll get all these nutrients and more by eating a diet rich in fruits and vegetables. The good news is that these nutrients can also work to improve insulin and glucose levels. American guidelines recommend women consume a minimum of 25 grams of fiber each day. This amount can easily be met on the DASH diet. Besides helping to lower cholesterol, fiber fills you up and keeps you satisfied longer. Fiber also helps to manage glucose and insulin levels. Too much sodium can raise blood pressure, increasing the risk for coronary heart disease. Most American’s exceed the Dietary Guidelines daily limit of 2300 milligrams of sodium daily (to give you an idea, just one teaspoon of salt provides 2300 milligrams of sodium). Designed for people with high blood pressure, the lower sodium DASH diet recommends keeping sodium levels under 1500 milligrams, the maximum amount of sodium the American Heart Association recommends people with high blood consume. The DASH diet is a plant-based diet with the emphasis on including 4 to 5 servings a week of a variety of nuts, seeds, and legumes (lentils). These foods provide a good source of fiber, as well as magnesium and potassium to lower blood pressure. Research has indicated that the heart-healthy monounsaturated fats (MUFAs) and polyunsaturated fats (PUFAs) found in nuts can improve insulin, androgens, and cholesterol levels in women with PCOS. 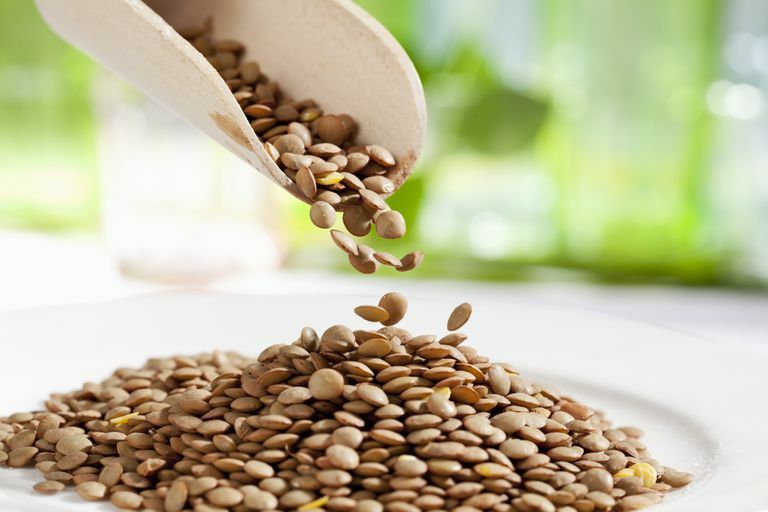 Packed with fiber, omega-3 fatty acids, protein, and essential vitamins and minerals, seeds too are a PCOS-friendly superfood. When you eat foods without extra salt, you can really taste the difference. Food just tastes better. To replace salt, use fresh herbs, citrus, and seasonings to bring out the flavorful taste of whole foods.